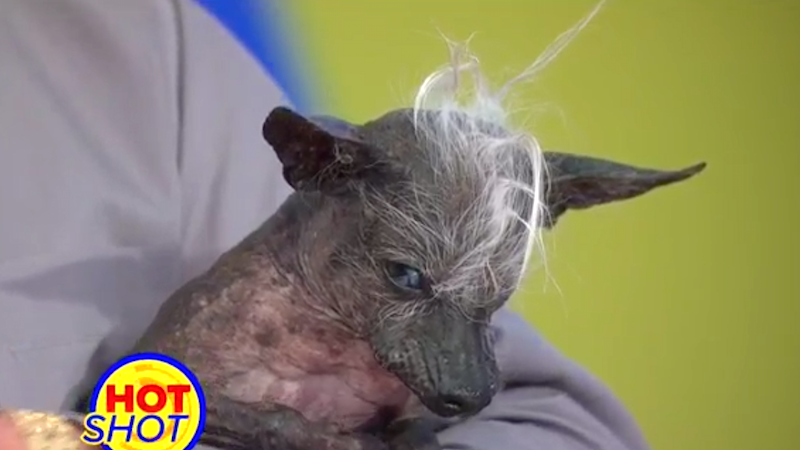 Say hello to your 2016 champion of the World’s Ugliest Dog contest, SweePee Rambo. SweePee Rambo is a 17-year-old crested chihuahua, who wears diapers and has an oozing sore. She seems pretty over it all. SweePee is blind, and according to the elder Wurz, the $1,500 prize money will be used to remove a tumor in her gum line. As long as you are loved and have someone to change your diapers and take you on TV appearances, I guess it’s a win. Now please let this dog chill out.